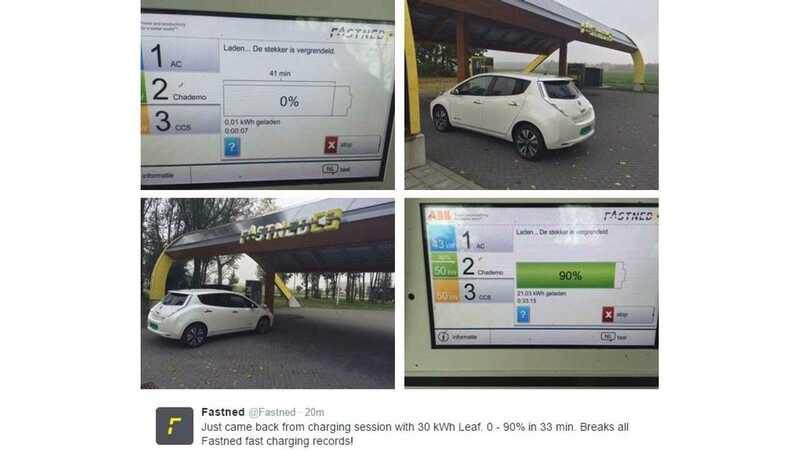 The previous record for fast charging a 30-kWh 2016 Nissan LEAF stood at 33 minutes for "almost empty" to 90% charged. 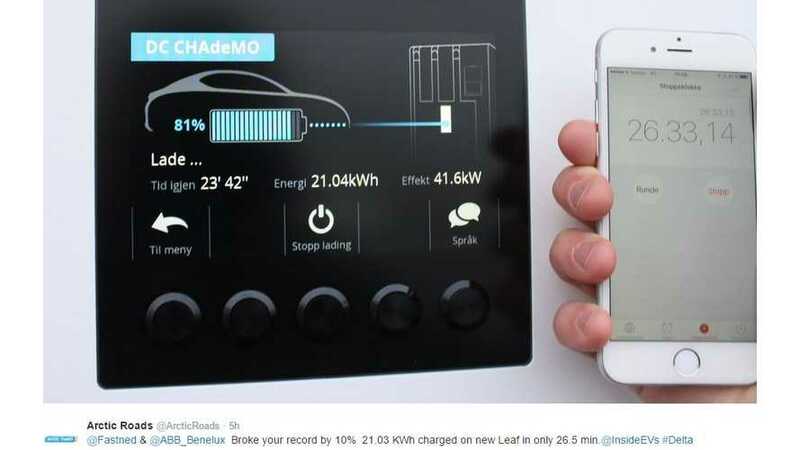 Well, that record was recently shattered by Arctic Roads (see Tweet above), who claims to have added 21.04 kWh to a 2016 Nissan LEAF (with 30 kWh battery pack) with a DC fast charger from Delta Electronics in just 26 minutes and 33 seconds. The previous Fastned record was 21.03 kWh added in 33 minutes, so this new Arctic Roads record beats that time by over 6 minutes.